The software fully automates the process of Accounts, Inventory, POS, Distribution for trading, manufacturing and service provider company. Home Page with simple Animation : A unique and eye-catching homepage with a short Flash Element/Header. Managing website from Fontend WYSIWYG HTML Editors. What technology does GPAC Software use? GPAC Software has a three-tier architecture- MS. Visual Basic Dot Net , MS. SQL Server and Cryster Report. GPAC Software use MS. Visual Basic Dot Net for Frontend, MS. SQL Server for Backend and Cryster Report for Report making. How many users can be use in GPAC Software? Unlimited user can be use in GPAC Software. Is it integrated Software with Accounting and Inventory? Yes it is integrated Software with Accounting and Inventory. No, GPAC’s multicurrency general ledger is fully integrated with its partnership and portfolio accounting. Accounts and sub-accounts for each partner and investment instrument are automatically and dynamically added into the general ledger. Debit/credit journal entries from portfolio and partnership transactions are automatically posted to those accounts, bringing further operational efficiency to the accounting process. User-define custom accounts can also be added. What are the system requirements for GPAC Accounts? GPAC Software requires minimum Dwell Core processor, 2GB Ram and 10 GB Hard disk Space. 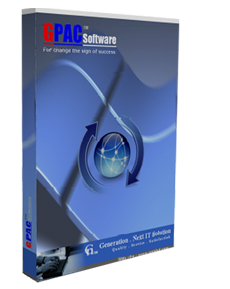 Do you offer a trial version of GPAC software? If, after demonstrations and speaking with referrals, there is a need for more in-depth access to GPAC, we offer a Proof of Concept (POC). A POC allows you to test your data and reports in GPAC. You can take GPAC on “test drives” in guided sessions with us. We will do everything possible to give you objective insights to the system and your prospective life using it. What is Support Service time? Each & Every working day from 9.30 am to 6.00 pm. Can we see report by browsing from any where? Yes you can. You can also see report by browsing through Mobile from anywhere. Is it Web base or desktop software? 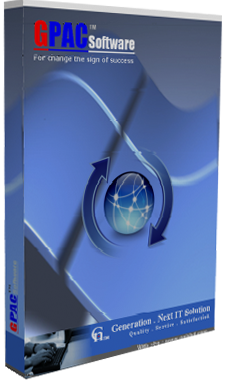 It is Desktop base online software. Is vat configuration available in GPAC Software? Yes Vat configuration is available in GPAC Software. It will be automatic generate through sales. Is Ready Product Customization possible in GPAC Software? Yes it’s possible. From Ready product report can be customized. What does Bank reconciliation really do? What happens when I load my bank statement? When a company receives its bank statement, it should verify that the amounts on the bank statement are consistent or compatible with the amounts in the company's Cash account in its general ledger and vice versa. This process of confirming the amounts is referred to as reconciling the bank statement. The benefit of reconciling the bank statement knows that the amount of Cash reported by the company (company's books) is consistent with the amount of cash shown in the bank's records. Not always discounts are available for software purchases. Only occasionally discount on software purchase are available. 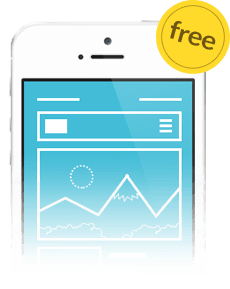 We bring you a team of professional web designers, application developers, online marketers, and web analysts who have combined their skills and experience in helping businesses worldwide enjoy dominance on the web. Custom web design and development, E-commerce website design and development, Content Management Solution, Enterprise Portal Management and also including Domain Name Registration & quality Hosting service. Why it's worth to choose GNISBD? Copy right by : Generation-Next IT Solution Ltd.